Smalec is something that Americans eye warily at first. 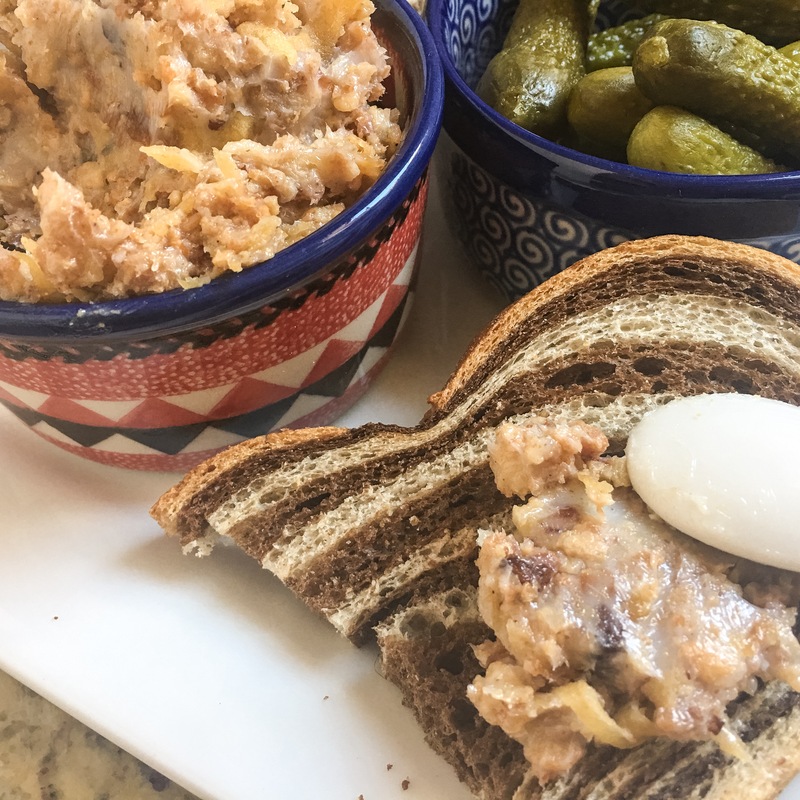 Polish friends and my husband said “it’s pork fat; you spread it on bread like butter.” I didn’t find them very convincing! Of course, I eventually came around. 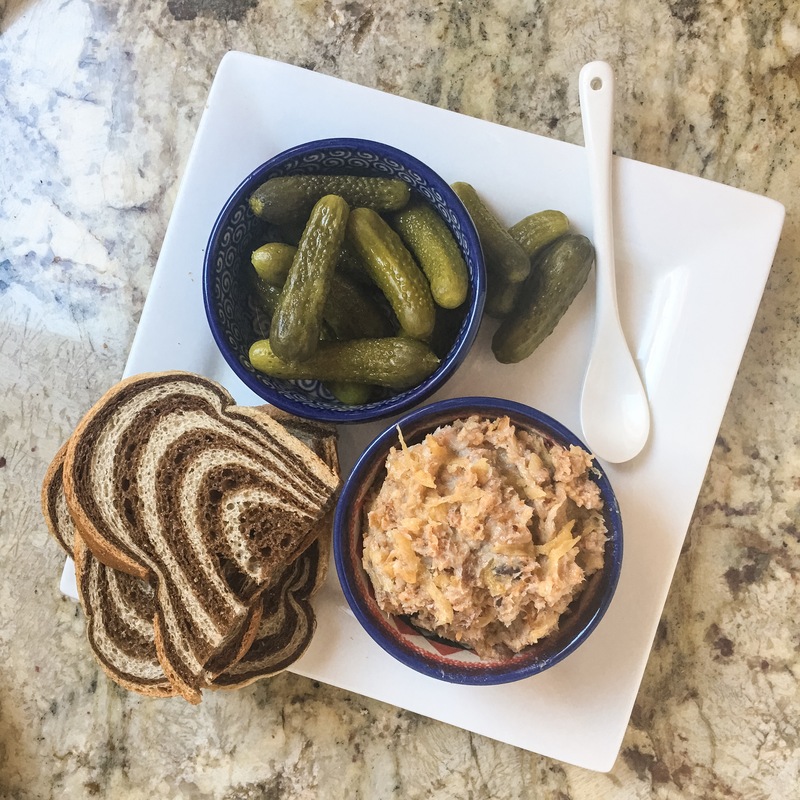 The theme for my time in Poland was to try everything, experience new things, especially when it came to food. It is a common thing in Polish restaurants to be served a basket of bread with a bowl of smalec for the table as soon as you sit down, much like chips and salsa in a Mexican restaurant. It doesn’t take long to discover that some smalec is better than others. Some of it just seems like lard, with very little of the flavorings. Some smalec is a chunky spread, full of crispy brown bits, chock full of delicious things that were until recently a mystery to me. This recipe is the latter! There was a little pub in Poznań that sold 100+ different beers, mainly Polish, I think. It was always packed with a very young crowd. Their limited food menu included smalec and bread, the perfect nibble to accompany 100+ kinds of beer. We started making a point of going there with our friends Angelika and Keith because we wanted to have the smalec. I firmly believe that our food preferences are tied to the memories associated with the foods. 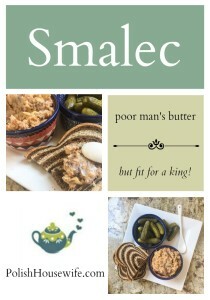 For me, smalec is a rustic dish, shared in intimate settings with people you love. Here are somethings I learned in making smalec that I’ll share with you. It can be difficult to buy a kilo of pork fat in the United States. I called several places and found two options for me in Tucson. One of the local supermarkets was willing to save pork fat for me as the trimmed their cuts of meat. It took several days for them to have enough. But they did eventually call and had a package of pork fat waiting for me at $1.57 a pound. I called two speciality butcher stores, and one of them had 3 pound packaged blocks of frozen pork fat. They were willing to cut it to size. Now that we’ve secured the main ingredient, the surprising thing for me was that almost all smalec recipes include tart, green apples. I had no idea! I’ve also read (with the aid of google translate) that some recipes includes diced dried fruit. My guess would be diced prunes; they’re very popular in Polish cooking. I went the classic route with just apples. This recipes makes a lot. I filled 7 cute little Polish pottery ramekins. It keeps in the fridge for two weeks, so obviously I need people with whom to share. I’ve put one ramekin in the freezer as a test, and I’m happy to report that defrosted smalec is every bit as good as freshly made. I love that I can pull a ramekin out of the freezer when I know someone is coming over. This is a dish meant for sharing. I’d love to hear what you think of smalec! Best consumed with beer or vodka! Honestly, I was hooked at “pork fat!” Where did you get yours, Lois. Dickman’s? What kind of bacon. Pancetta? Oh you know I will be making this – just without the garlic! Ha! Yes, Dickman’s has the blocks of pork fat. There a little meat attached, so I just ground everything. As for the bacon, I just bought the cheapest package I could find. It should be a fatty bacon. I have a lot. Would you like to try some? Lois, we’ve had the German version of this. I think it is smaltz. It is a favorite of our German son-in-law. They are in Cincinnati now and I don’t think he can get it there. I will send him the link to your recipe. The pronunciation would be very similar because the c sounds like ts. 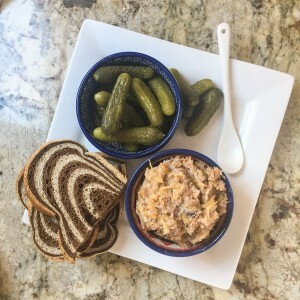 I’m always happy to connect someone with a comfort food; I appreciate you sharing the recipe! we had Kobassa and shredded cabbage tonight for supper, and that will be for tomorrow too, as she made a big batch…The only thing I add is lots of pepper….and Im not Ukrainian…Im English…but still love the food. I understand, Evelyn. I’m not Polish but still love the food. Excellent recipe! Thank you for sharing it. I had to look up pemmican; that was a new one for me!